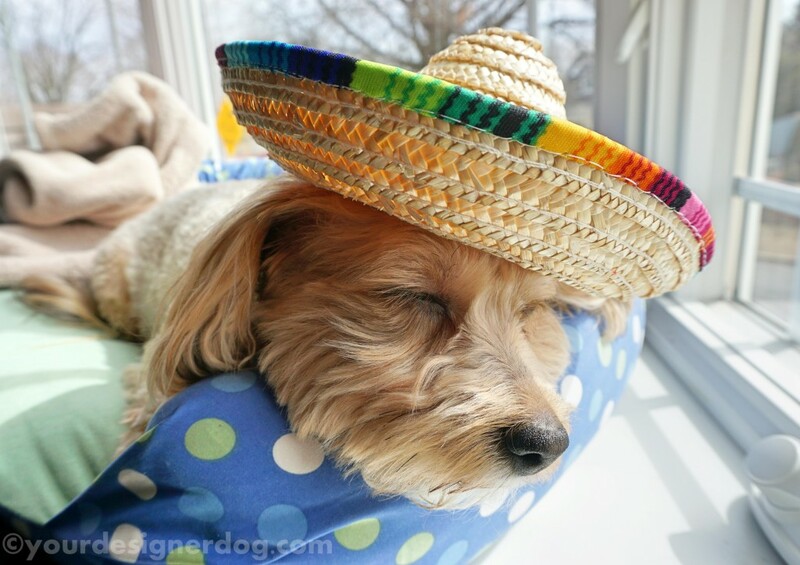 Sadie is resting up today for our Mexican fiesta in honor of Cinco de Mayo. 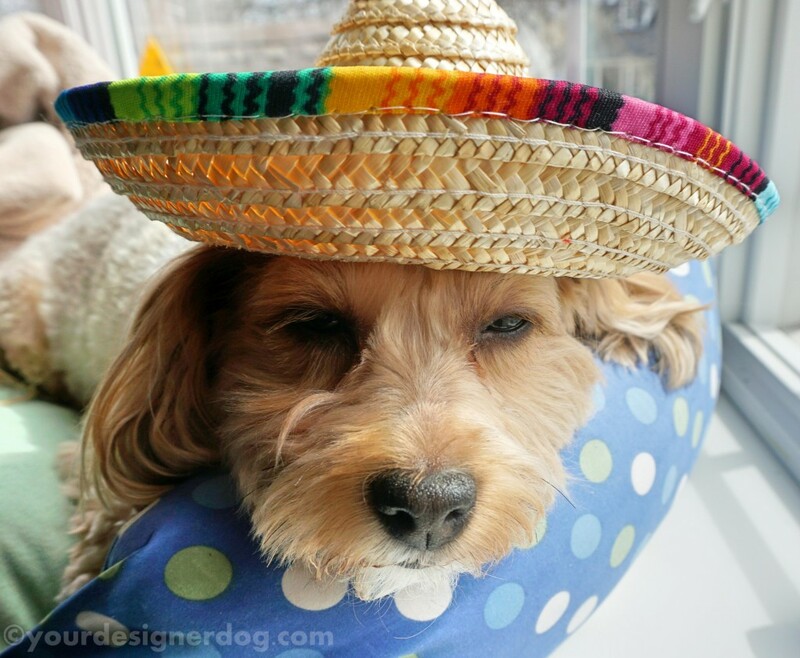 Most likely our fiesta will involve Mexican takeout and a walk past the Mexican restaurant that usually has live music piped outside. 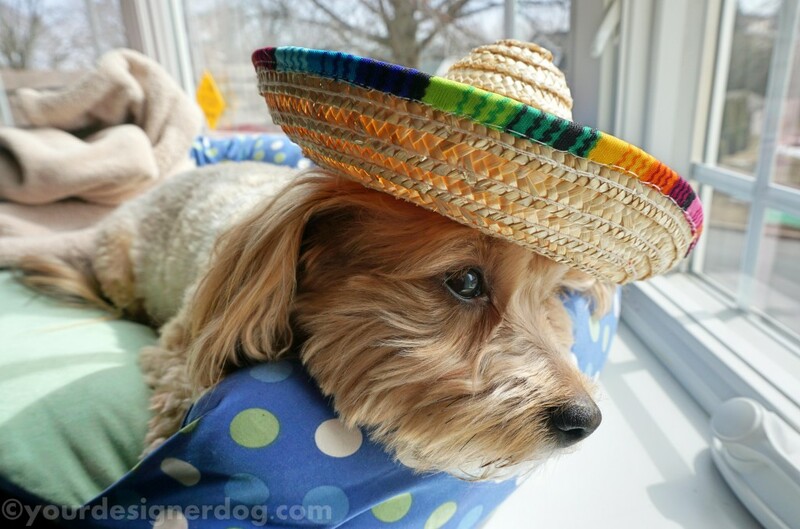 We’ll finish our evening by taking some photos at the special Cinco de Mayo photo stand the restaurant set up. Sadie says such excitement requires lots of napping!